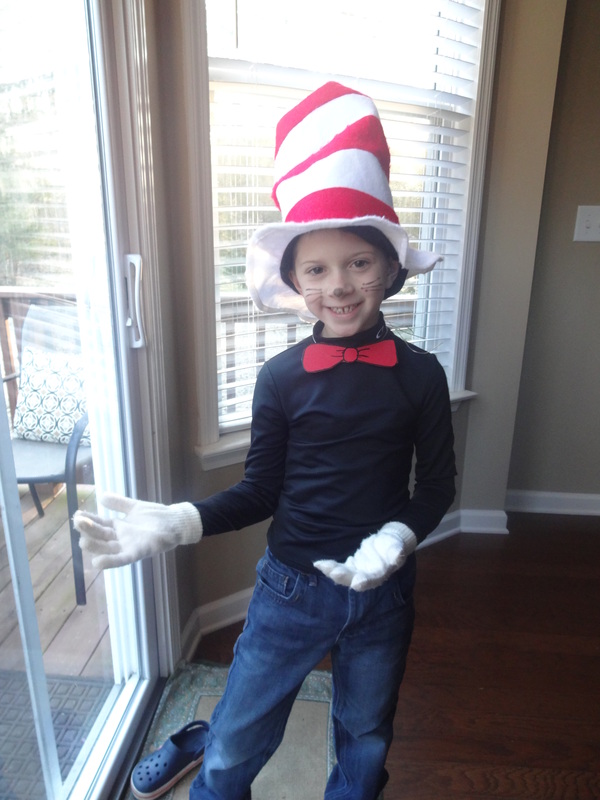 Maddox went as ‘The Cat in the Hat’ and look what a CUTE cat he is! ‘The cat in the hat knows a lot about that!” like they do on the tv show and he ended with this pose and told me to now take the picture! HA! The kindergarten and first graders had a Dr. Suess character parade and guess what? I didn’t go. Nope. I didn’t get out at 7:15am in the cold with Tanner and Meredith, mostly likely in pajamas while Meredith was sick and had what we thought was pink eye to watch Maddox walk through the hall passing by me for 4 seconds. I didn’t go. OK that’s my over the top spill. ANYWAY, back to Dr. Suess Day. I made (see I do participate!) 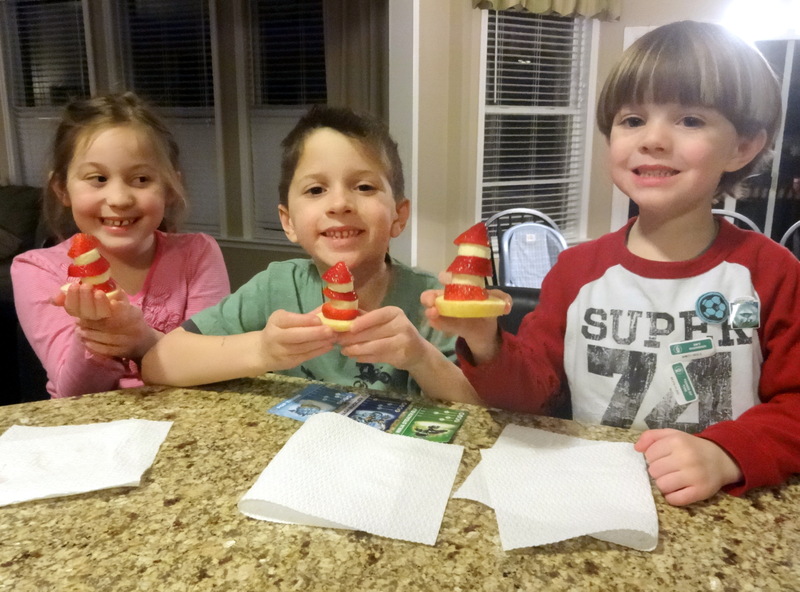 some Cat in the Hat treats for them all to take their classes but we had a snow days! What? So I spent like $50 bucks on fruit for these things and finally we ended up just eating them at home! The kids loved them. We ate them for days. And they couldn’t just eat the fruit, no, we had to build that little hat every time someone wanted a banana. There are LOTS of cute Cat in the Hat snack ideas but most are all sweet, sugary things. I googled for a ‘healthy Suess treat’ and found these. I cut up the fruit ahead of time, throw it in a large ziptop bag, sprinkle on some Fresh Fruit and mix it around, then assembly the hats. We will be doing these again next year for a healthy treat!